45 mm polished steel case, sapphire crystal with anti-reflective coating, brown dial with snailed counters. 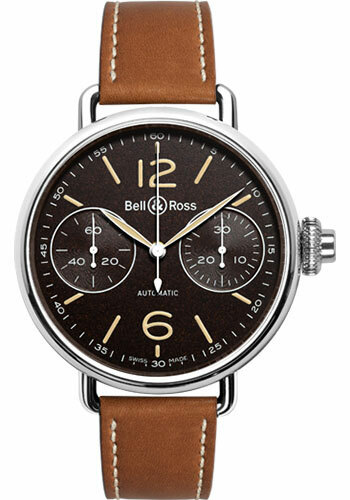 numerals, index and hands covered in a sand-colored photo-luminescent coating, automatic movement with hours, minutes, seconds, calfskin strap, polished steel pin buckle. Water resistant to 50 meters.